About wireless drives with built-in battery our site wrote more than once. In some situations, they may be an excellent solution to the problem of network access to large volumes of data. Of course, this usually involves the use of mobile devices – smartphones and tablets, and sometimes even laptops. Company Western Digital, which is one of the few remaining in the market of traditional hard drives, has introduced its own version of this segment only last fall, while other manufacturers can no longer boast of the first generation of products. Not to mention the fact that the market can find solutions and less known companies. 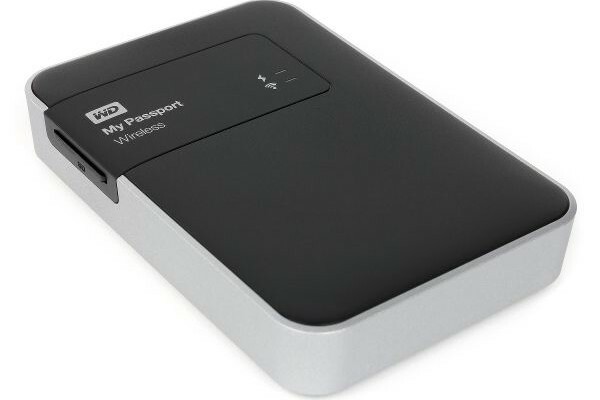 WD My Passport Wireless is available in three variants volume – 500 GB, 1 TB and 2 TB. Other characteristics of the models are similar – USB 3.0 interface for fast data exchange with a PC, a wireless controller and battery for battery life, support for personal computers running Windows and Mac OS, the ability to work with mobile devices on Android and iOS, a slot for SD memory cards with the ability to automatically copy data from it to your hard drive. 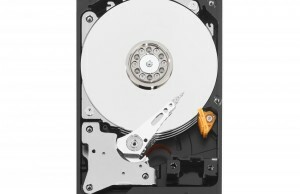 Note that in addition to the volume of the hard drive, the device differ slightly thick body. Let’s see how successful the wireless hard drive in one of the undisputed market leaders in storage. The drive is supplied by a relatively small carton. It is decorated in blue and carries information about the device: photos, description, compatibility package. Their performance on it specify the amount of disk and supported interfaces. A little surprised that the design is no strong emphasis on the use of mobile devices, which today is very common. No, and QR-codes to download special software. Interestingly, the front side of the package is opened as a cover and below you can see the product itself for the transparent cover made of plastic. The package includes a storage battery charger with the release of USB (5V 2A), Flat Cable Micro-USB interface with support for version 3.0 and 45 cm long, brief instructions on getting started and a leaflet describing the technical support and warranty (by the way, she is two years). 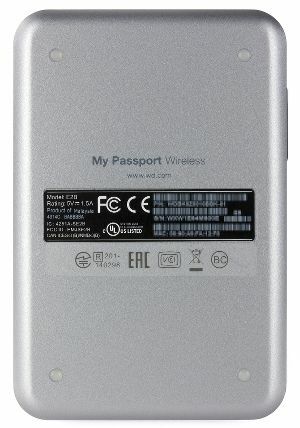 Note that the power supply is equipped with inserts for different types of outlets, it can be used in traveling.They can be useful and available at an additional cost accessory – Case My Passport Wireless Carrying Case (though whether it is available in the domestic market is still unknown). It is interesting that on the drive specified consumption 5 V 1.5 A, but from a practical point of view, it almost does not change anything – the majority of chargers on the market support the current of 1 A or 2 A. The first just is not enough, and the second for sure fit. On the Web site, you can download firmware updates, electronic versions of user manuals (including in Russian), a utility to search for the network drive WD Quick View. In the support section also has a fairly large database searchable knowledge, but its localized version is not directly related to the model records, so that in the event of problems, we recommend to look in the English version. With modern design, portable hard drives hard to come up with something original. Model with disc 1 TB has dimensions 86 × 127 × 23 mm and a weight of about 280 g The main body is made of matte gray plastic “aluminum”. Interestingly, the side ends slightly tilted, allowing more convenient to lift the drive from the table. Secure grip on a flat surface provides transparent rubber feet. Between them is a label on the bottom of the model number, serial number, MAC-addresses and other information. To the top cover is black matte plastic. On visual selection insert placed logo of the manufacturer, the name of the device and the power indicator and wireless network. The first is used to assess the status and battery level (four color options), activity at work via USB and memory card installed. The second allows you to see the status of the wireless connection – active clients connected to the access point and Internet activity WPS and other information. On the left side is a slot for full-size memory cards SD, which adds useful features to the device.For example, you can rewrite the photos on your hard drive. In the manufacturer’s website compatibility list there are models with capacity from 1 to 128 GB, so that probably supported and SDHC and SDXC. Note that if the card is not used, the slot can be closed by a complete plug. The pros can be recorded and that the installed card is almost entirely placed in the slot, and serving less than one millimeter part makes it easy to replace the card with built-in spring-loaded latch.However, it would be strange if the implementation was different enough for such a large device. At the upper end of the drive is the power button, manage your wireless connections and port Micro-USB 3.0. The second button has several functions, which greatly simplify the work with the device. In particular, a short press allows you to connect a client to a wireless network technology WPS, begins a long process of connecting the drive to a wireless network of your router, clicking off indicates the battery level, and in the case of the inserted memory card button starts the process of copying data from it to your hard drive. Simultaneously pressing the buttons for ten seconds is used to reset the drive. The manufacturer has already recorded almost three and a half gigabytes of data at the factory.Most places are occupied viderolikov training in six languages ​​and samples of multimedia files.Electronic documentation and software on their background invisible. Manufacturer says virtually nothing about the hardware and software features of the product.Collected from the crumbs of the official specifications drawn up the following picture: storage capacity will be 500 GB, 1 TB or 2 TB file system exFAT, used interfaces USB 3.0 and Wi-Fi (2,4 GHz, up to 144 Mbit / s, two antennas, channel 20 MHz), the speed of the memory card – 25 MB / s, up to six hours of battery life, up to twenty hours of standby time, support for DLNA and protocols SMB, AFP, FTP, the ability to connect to existing wireless networks and access to the Internet customers, operating temperature range – from 0 to 35 ° C, compatibility with Windows Vista / Mac OS X 10.6 or later, a special utility for mobile platforms, the ability to use with all popular web browsers. Thanks photographs FCC and access to the console firmware via ssh, you can learn some details about the configuration of the device. The basis of the solution is the chip Sitara AM3352 series production TI, having a single core ARM Cortex-A8, operates at frequencies up to 800 MHz. The amount of RAM is 512 MB, and for storing firmware installed flash chip on 128MB. Both chips production SK Hynix. For the implementation of the wireless interface module is responsible WL1805MOD, also manufactured by TI. 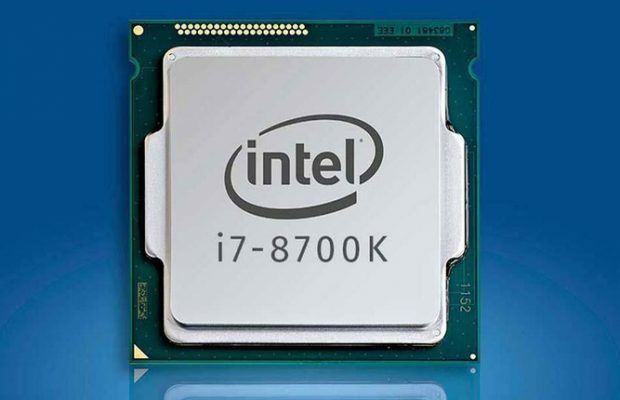 It connects to the processor interface SDIO, which formally provides performance of up to 80 Mbit / s.
The hard disk in the test model modifications introduced WD10JPVX-11JC3T0, related to the mobile series WD Blue. 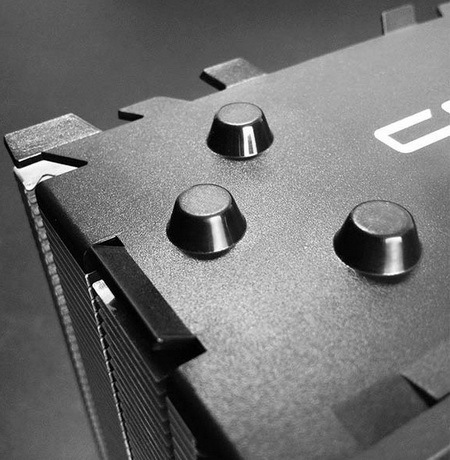 It has a capacity of 1 TB, rotation speed 5400 rev / min, 8 MB buffer, 9.5 mm thickness of the body and the maximum power consumption of 1.4 watts. Note that other devices in series can be used representatives lines WD Green or WD AV-2. Parameters built-in lithium-polymer battery storage – 3400 mAh 3.7 V.
The device recently appeared on the market, but you have access to the console embedded operating system gives hope for the emergence of a community of enthusiasts and additional or alternative software for this model. However, recall that the use of SSH can be the cause of failure in the warranty. As with most modern devices, an opportunity to consider the drive to a greater extent determined by its firmware. So before you start testing, you need to make sure that you are using the latest version of it. To upgrade the firmware, you can use a number of ways: automatic installation via the web interface or mobile utility (requires internet connection Drive), manual loading or use a memory card SD. The last option is interesting for its autonomy – save the file to the card in the specified directory and include the drive. It is in this way we have used to install version 1.3.13 on 11/17/2014. At the factory the device is formatted in exFAT, which provides compatibility with current versions of Windows and Mac OS X. The user can change the file system to FAT32, NTFS or HFS + maintaining wireless access. Note that it is recommended to save the partition table as a stand-alone mode only works with the first record in it. For wireless connection supports simultaneous operation with five clients. By default, the device creates an open wireless network named MyPassport. After connecting to it and the web interface at http: // mypassport or http://192.168.60.1 first action (more precisely, the second – after the adoption of the license agreement) is proposed to change the name and a password to protect your network. It is a web-based interface provides the ability to change all parameters of the device.Mobile software WD My Cloud has access to only some of them. At the top of the window is a button to create links to files storage, the list of system notifications label short built-in help system and the exit button. Next is the band with icons for the main groups of settings menu. Page “Home” shows the current status of the system – the amount of disk space occupied by certain types of file space, battery level, wireless connection mode, firmware version, and other data. On page «Wi-Fi» is a list of connected clients and the settings of the built-in wireless controller device. The user can change the network name, security mode (open network, WPA2-PSK or WPA / WPA2-PSK), prohibit the broadcasting SSID, select the channel to change its own IP-address of the drive, shut down the server DHCP. The device can operate in a wireless client to an existing network, at the same time the client connects to itself. In this case, customers will also have access to the core network using broadcasting technologies ports. Note that there is an item in the options to allow access to the services of the drive (web interface, files, FTP server and others) from the network core router. So that if necessary, the drive can be fully used and stationary wireless home networks. When operating in the “pass-through” mode, the actual speed access to the Internet on the client side is considerably lower than in direct connection that is familiar feature of Wi-Fi in such a configuration. Tests have shown that you can expect about 10-12 Mbit / s. That will be quite enough for most basic scenarios using the drive on the road. Page «Admin» is used to set the password to access the web interface, enable SSH and FTP server and reset. Note that the system has no support for limiting user rights to files. Open access to the system console via ssh on the device allows for additional features, but interesting recipes ready in the network at the time of testing was not. See “Hardware” allows you to select one of the modes of the system – the speed priority or power save, block access to the drive via USB, turn off the power or restart the drive. Unfortunately, no details about the optimization mode power supply manufacturer does not provide, so it is necessary to study the influence of this parameter in real tests. The only thing we found out for certain, this difference in the control module processor speed – at maximum speed, he constantly works on 800 MHz, and economical option uses 300 MHz. Built-in sleep timer is set to 15 minutes, this time can not be changed. He turns off the wireless network and the power drive in the absence of customers. For quick awakening you have to press the power button. On the “Multimedia” you can turn off the server DLNA, start scanning files to clean his catalog, to estimate the number he found multimedia files. The second graph – “Counter multimedia” – apparently represents another index to assess held various files on disk space. The last point here – the setting for using memory cards. Provides automatic data backup operation with them during installation. You can run it in manual mode. Copying can be replaced with the transfer, when the original files from the memory card removed. This can be useful for photo-video. In the “Support” section are items to collect information for service and built-in diagnostics utility storage. Last page is used to update the firmware. As we have mentioned above, in the case of connecting the drive to the internet it can test new versions independently. If this is not possible – you can download the requested file from the manufacturer’s website and installed via manual update. As we can see, the whole customization of the model are pretty standard for this class of devices.We note only the presence of functions related to the maintenance of memory cards. The pros can write mode and pass-through connection to the wireless router, as well as access to the system console. To access the Data, you CAN use the protocols SMB / CIFS, AFP, FTP, DLNA and utilities for Mobile Devices. Note That you must first enable FTP settings, Moreover’s, through it CAN not work with A memory Card. A remark Similar Applies to the DLNA. Mobile Application, Unfortunately, Also in the Current version does not have access to SD Slot. Built-in file Manager for the Browser in this solution is not Provided. FTP-Server works only in Anonymous and has no way Any Detailed settings. The Manufacturer Claims the Possibility of using this Service with Wireless Cameras to download Images to the hard drive. Integrated DLNA Server, Implemented on the basis of A Known Product TwonkyMedia, CAN be Useful for working with clients such as Smart TV and video Game consoles. It is supported by Most Modern multimedia formats for indexing, Including JPEG, PNG, MP3, WMA, FLAC, M4A, AAC, AVI, MKV, WMV, M2TS, MOV, MP4, TS. Implemented sorting Files into virtual folders based on the metadata, Including the year for photos and tags for music. Note That the available own Web Server interface DLNA , which runs on the default port 9000. 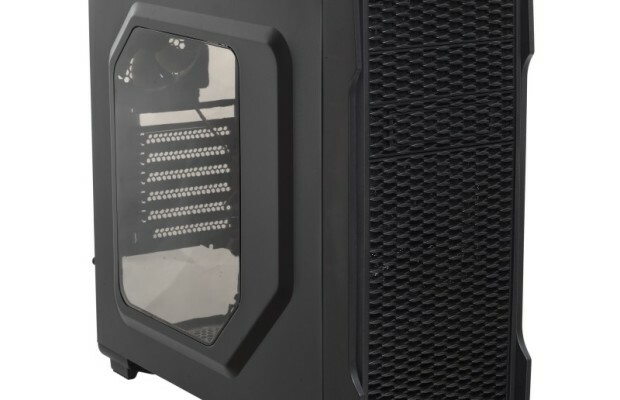 The Company proposes to use the drive for backing up Data from Computers. In the Case of running Windows, you CAN use the proprietary utility WD SmartWare, and in Mac OS X’s Built-in USED Time Machine. HOWEVER, in the Second Case, you first need to reformat the drive to the file system HFS +. When working with mobile devices can be used as described above standard protocols and proprietary software WD My Cloud, which we have already met during the test network drives from this manufacturer. After Connecting to Wireless A network device, the drive automatically Will Appear in the menu. As with the Family of My Cloud, the User gets some Operations on Files and folders, Including search, delete, Copy, Change of name, download to your Mobile device, download the files on the drive (in iOS – only photos and videos from the gallery). In addition to navigating folders, Provided the use of device A Created by virtual folders sorted by the type of Media and some tags. Version of the utility for the tablet (tested on Android) does not use the screen Larger Size, Which of course is not very convenient. The utility has the Means to View Images, Listen to music and Watch video from the drive in streaming mode. Version for iOS has quite Expected Limit formats, in Particular for the video you Should use standard for this Operating system formats MP4, M4V and MOV , and for music – MP3 and M4A. If Android, video Player is USED, only the external, with the Proviso That it is registered in the Operating system for Opening this Format. With some types of music Files from the Built-in utility Player , But for others it May be Caused by an external Program. With no photos Problems, it Supports All popular formats. The program includes some of the settings and drive and the current status. In particular, you can see the statistics of recorded files, and battery level. Settings lower than in the web interface, but the basic parameters are: copy modes on the card, the administrator password, wireless settings, performance management, reboot, and the inclusion of DLNA server firmware update. Supported protocols and access options allow us to say that the drive is quite convenient for use in the main scenario in conjunction with computers and mobile devices. Possible improvements worth mentioning the implementation of file management through a web browser and a multiformat video player for smartphones and tablets. Given the large amount of devices to use FAT32 on it is not very convenient. So to estimate the rate of a local connection, we used the standard templates and exFAT file system and NTFS. The results of the work with USB 3.0 on a modern PC with the Intel platform are given in the following chart. Speed ​​sequential read and write up to 100 MB / s, which is quite typical for modern hard disks in this format. Scenarios in several streams and random operations showed significantly lower results, but from the point of view of the main uses of external hard drive is not critical. The maximum speed of the USB 2.0 interface expected less – about 30 MB / s. And once again mention that when connecting wirelessly internal access point will not work. Local connectivity has enabled the temperature and mass storage mode – during the tests it was heated to 42 degrees. In the case of independent use temperature is likely to be similar. Additional heat from the electronic filling can be compensated by a smaller load on the hard disk. The speed of the wireless connection is traditionally much depends on external factors, so refer to the following descriptions carefully estimated worth. Was used to verify the performance connection from a laptop with a wireless card on the chip Qualcomm / Atheros. The distance between the drive and the client was about four meters. In the air there were several other wireless networks. Speed ​​measured on the tasks of reading and writing a large file via FTP client and using the disc mount.Wireless drive has been tested in maximum performance mode and save the battery. It is Expected That A Significant Difference in the Frequency of the processor in These Conditions affected the results of Speed ​​Testing. On the Other Hand, if we Consider the popular video formats, for Most of Them Will be SUFFICIENT and Economical mode. HOWEVER, there is a significant dependence on the distance and obstructions. This question we tried to Estimate using the Smartphone Sony Xperia Z3 Compact and Our set of test Files from Mobile Methods . On the Smartphone to use standard Media Player That has support DNLA-servers. At A Minimum Distance of One meter successfully Played videos with bit rates up to 25 Mbit / S or less. Increasing the Distance of up to nine meters and Adding Obstacles in the form of A pair of non-Capital Walls, this has not changed Figure. Switch to “Performance” in this Case did not Change anything, because limiter acts already wireless controller on a mobile device, so that it was possible to determine that 30 Mbit / S while working, But not perfect. In Any Case, we CAN See That the script no comments View video – for BD Still remuksov Speed ​​is not enough, and the amount of hard drive does not Promote the use of this Format, and transcoded versions Any of the drive is quite Able to transfer to A Mobile device. The only thing That Affect CAN this option – playing Records with Action-Camera shoot in 4K and / or with A High frame rate. HOWEVER, the Operational View on Smartphone or tablet A such Records CAN be Provided through A local connection memory Card. The Manufacturer declares support Simultaneous operation of up to eight clients. Such A large number we have not found, so we tested, only four – A Couple of Computers, tablet and Smartphone – by playing the Same Format 720p video with bitrate of A About 4 Mbit / S. There are no Objections to such A scenario from the perspective of operability and stability WAS not. To Increase the load, we Replaced the file playing on Computers downloading it from the shared Folder.The Speed ​​of this task WAS over 2.5 Mb / S for each of the two clients. In this Case, video playback on Mobile Devices to Maintain stability. So we CAN Say That the Scaling in the number of customers in the drive All right. That Note the Tests Were Carried out in A less productive mode “Power Save”. Checking the length of battery Life Carried with the video Format 720p, having A standard YouTube Profile. As customers to use the Laptop, Allowing A more Precise Assessment battery consumption through the console drive. The video Plays full-time Windows Media Player DLNA Protocol. we tested Both modes of performance tuning. When “Power Save” hard drive Lasted Almost Six and A half hours, Which is even greater than indicated in the Specifications of the time. If the drive mode Switch the “Performance”, the duration of battery Life in this scenario is reduced by Almost two Times – up to Three and half hours A. So if you need Long battery Life – the Choice of setting is quite Obvious. The High Speed ​​of the processor CAN be Useful, perhaps, only When Necessary indexing a large number of new multimedia files. Regular supply from power off the drive is Charged for two and half hours A. Manufacturer specifically says in the documentation That the device has A Special charge controllers, so That Under low load and power supply recharge the battery May not Occur. When it comes But to staffing models and a half ampere, the simultaneous operation in wireless mode and charge quite acceptable. 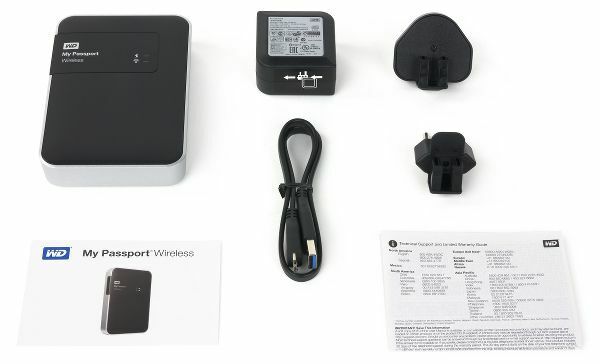 WD My Passport Wireless is Definitely the Successful Implementation of Wireless Mobile hard drive.Among the Most interesting features of Note Built-in USB port Micro-3.0 and A Slot for memory cards. Wireless controller device Provides SUFFICIENT performance for Basic Scenarios and range of work , and battery allows you to use the drive offline for more than six hours. In terms of software Implementation noteworthy popular protocols network access DLNA Server, mode “through” connection to the Internet and file support Different Systems. Of Special Mention is the Ability to Change the Speed ​​of the processor, so depending on the That tasks, you CAN Choose to Speed ​​or autonomy. For Certain categories of users and Interest Provided access to the system console Storage.